See, with a garden hose you’re at the mercy of your house’s water pressure which can either be geyser-like or a dribble. Sure, you can buy hose attachments to focus the spray but it won’t be effective as a pressure washer. See, if you opt for a pressure washer then you can increase the water pressure to blast away even the most stubborn lumps of muck. 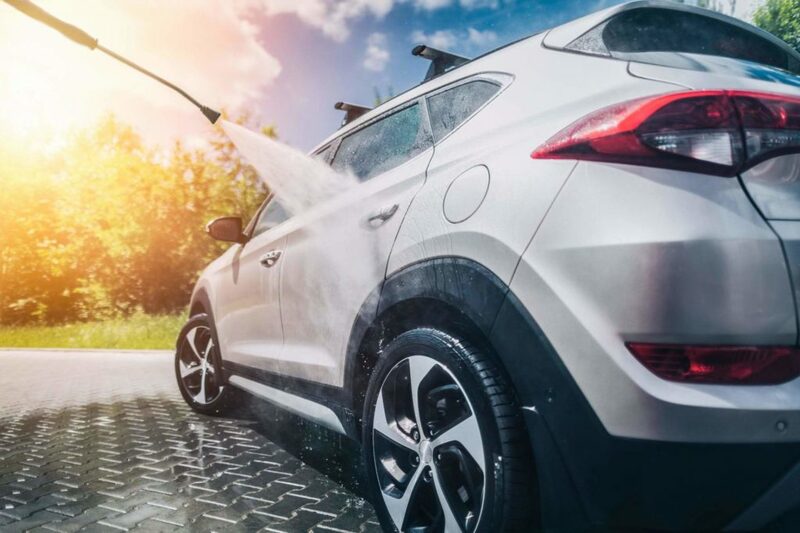 Using a pressure washer also uses a lot less water than a garden hose alone, in fact, common pressure washers use around 68 percent less water. A pressure washer will make water work a lot harder than a garden hose but they still pump around 320 litres of water every hour or more depending on the flow rating of your unit.